An appetizing meal. A refreshing beverage. Undoubtedly, taste buds get tempted with illuminated advertisements, especially when they are printed on Hop-Syn BL synthetic paper. 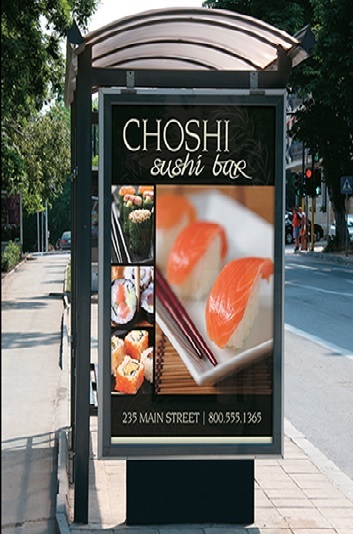 Advertisers use backlit displays to draw the attention of passerbys. To ensure that that the ads look as fresh as the items being showcased, Hop-Syn synthetic paper is the substrate of choice. Year round, regardless of climate or even extreme temperatures (-50°F to 220°F), Hop-Syn BL stands the test of time. It’s a rigid, UV-durable substrate that makes graphics pop. Hop-Syn BL is a white, translucent polypropylene sheet that displays brilliant color, day or night. These are just some of the reasons that ad agencies, big brands, and print partners choose Hop-Syn. BL has the durability of plastic but the recyclability of tree-pulp paper. 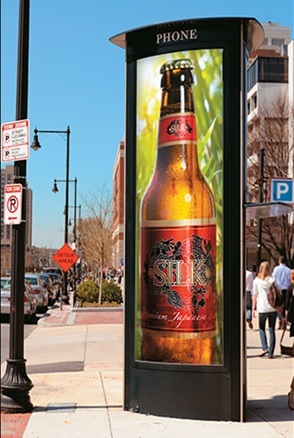 Resistant to impact and tears, Hop-Syn BL meets the highest standards in the sign industry. Print partners like its anti-static surface that makes for easy handling and processing, as well as its superb printability by multiple processes including flexo, offset, UV inkjet, screen and thermal. Economically priced against comparable substrates such as translucent polystyrene and rigid PVC plastics, Hop-Syn BL has numerous advantageous. The BL grade has a high dyne level -— necessary for ink adhesion — uniform pigment dispersion and gauge tolerance. It’s high heat resistance and micro-porous print surface also allows printed image to be more scuff resistant. Due to the flexibility of the Hop-Syn BL grade, customers use it for illuminated backlit displays and more. Other applications include bus shelters and airport displays, transit signs, trade show graphics, fine art displays and more. Recently, EFI and swissQprint produced samples of the Hop-Syn BL by their digital printers. To receive a free sample or for advice on your next print project, contact Hop-Syn at 800.524.0757 or fill out the online form.